based on the true random data string, generating a true random cryptographic key of no shorter than the length of the plaintext, encrypting the plaintext using this cryptographic key and transmitting ciphertext to a cloud storage data center. This application also provides a cloud storage data access apparatus and system based on OTP. The method, apparatus and system introduced by this invention can generate and store sufficient true random cryptographic key with relatively small physical space occupancy in comparison with that of plaintext, thereby enabling OTP to be applied into cloud storage data security protection. 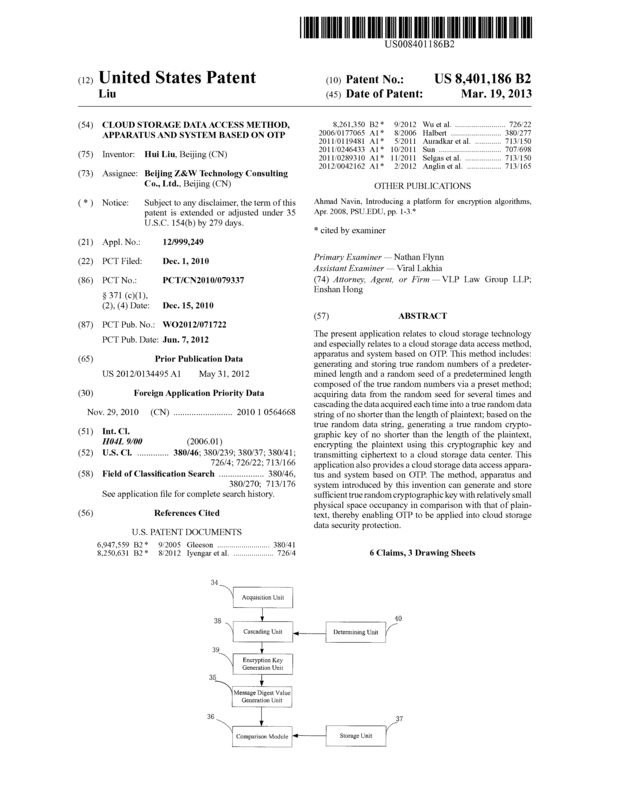 Page created at 2019-04-25 20:19:14, Patent Auction Time.